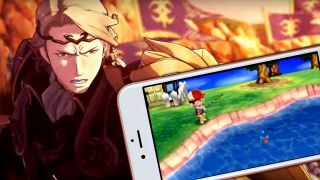 Nintendo will be making its mobile versions of Fire Emblem and Animal Crossing free to download, relying instead on in-app purchases to monetize the two franchises' leap to smartphones. The company's choice to go free-to-play was shared by Isao Moriyasu, Chief Executive for DeNA - the company developing the mobile games for Nintendo - The Wall Street Journal reports. Moriyasu's choice of words was "free-to-start," implying the games may try premium content, selling in-game currency, or removing limits to gameplay as a means of making money after players are hooked. The upcoming games mark the second phase of Nintendo's grand experiment with mobile gaming, the first being the release of the bizarre social app Miitomo earlier this year. Free-to-play models are a new territory to Nintendo, but not completely unknown. Titles like Nintendo Badge Arcade and Rusty's Real Deal Baseball for the 3DS have played around with the concept, offering a free initial experience that is then added upon with microtransactions. The gameplay of Animal Crossing and Fire Emblem - franchises that both found major success in the handheld market, primarily for the 3DS - would easily translate to the on-the-go nature of smartphones, as well as how many popular games on the platform monetize. Animal Crossing's social element and check-in-every-day mentality could potentially encourage players to drop real-world bucks to buy certain knick-knacks to gussy up their town, impressing their friends when they visit the player's abode. Fire Emblem, with its emphasis on building up an army of irreplaceable warriors, could charge players a fee to resurrect fallen units they've grown attached to - or simply sell special characters, gear, or scenarios for a small fee. Either series could also potentially buck convention and instead lean more into Moriyasu's "free-to-start" description - relying less on nickel-and-dime microtransactions and instead offering a complete game that only costs money to finish or play indefinitely. We won't know for sure how Nintendo plans to monetize its games until later, but if the mobile versions of Animal Crossing or Fire Emblem prove half as addicting as their 3DS counterparts, consider our wallets in jeopardy.